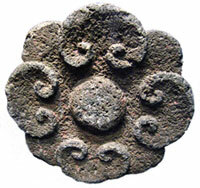 For the Aztecs/Mexica ‘Flower’ was an important calendar sign and - like feathers or jade - a symbol of something PRECIOUS. 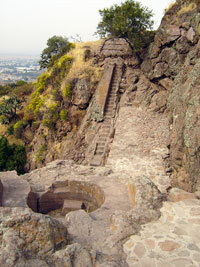 Ancient Mexicans, rich or poor, shared a love of gardens going back thousands of years. 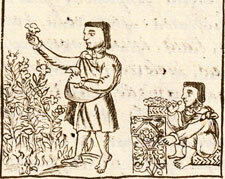 Mexica nobles employed whole teams of professional gardeners. 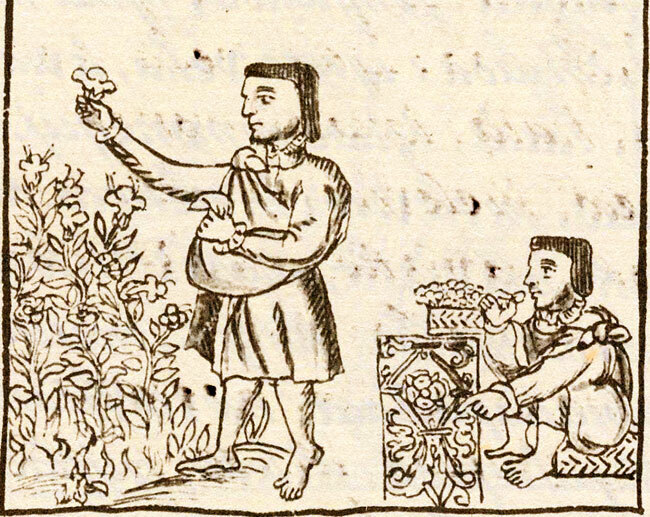 Some flowers could only be grown by Aztec nobles: if commoners were caught growing or picking them... uh, uh! We call this Flower Power. 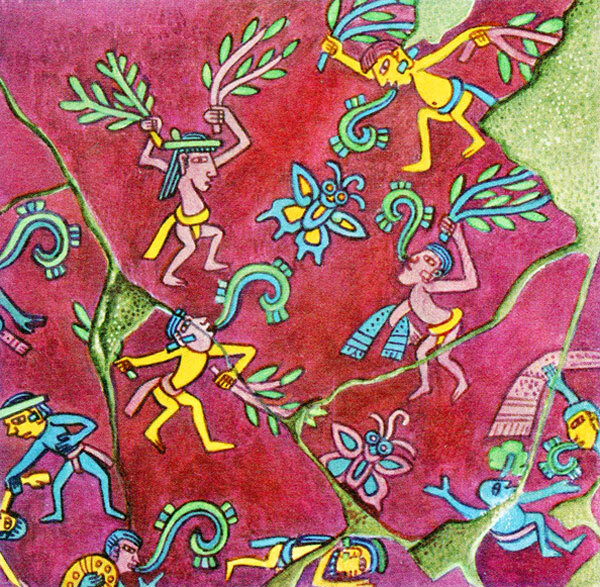 Doris Heyden, a renowned expert who died in 2005, spells out in the opening to her classic book Mythology and Symbolism of Flora in Pre-Hispanic Mexico the importance of flowers in ancient Mexico, representing as they did life, death, gods, creation, humans, language, song and art, friendship, stateliness, warrior captives, war itself, sky, earth... and an important calendar sign. 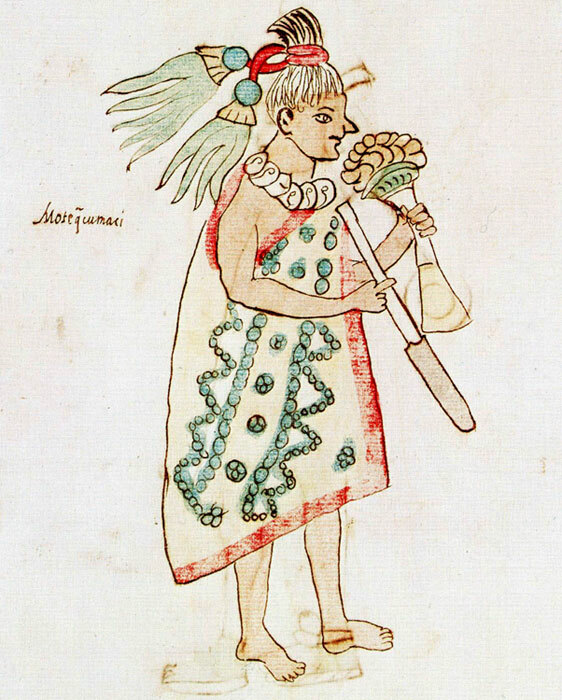 Flowers accompanied humans from conception and birth to death and burial: clearly the flower was ‘one of the basic elements in the art of pre-Hispanic language - like the quetzal feather and the jade bead, it was the essence of something “precious”’. Stone carved flower/plant/food symbols (Pic 1) were common decorative motifs on temples and palaces, and ambassadors carried bouquets of flowers as a symbol of mutual respect and admiration (Pic 2). 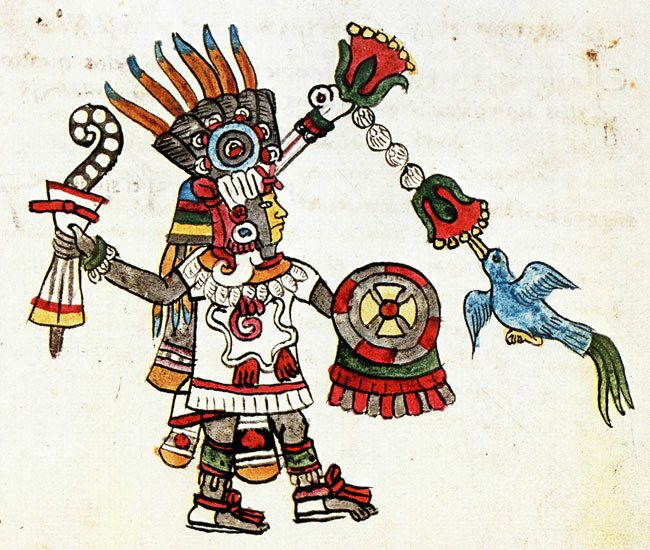 Mexica poets constantly wrote of the unending search for beautiful, fragrant flowers and of delighting and crowning nobles with them. I offer flowers. I sow flower [seeds]. I plant flowers.... I pick different flowers... I seek flowers... I arrange flowers. I thread a flower. I string flowers. I make flowers. I form... round bouquets of flowers. I make a flower necklace, a flower garland, a paper of flowers, a bouquet, a flower shield, hand flowers. I thread them. I string them... I make a pendant of them... I offer flowers to one... I provide him a flower necklace. I place a garland on one... I cover him in flowers. 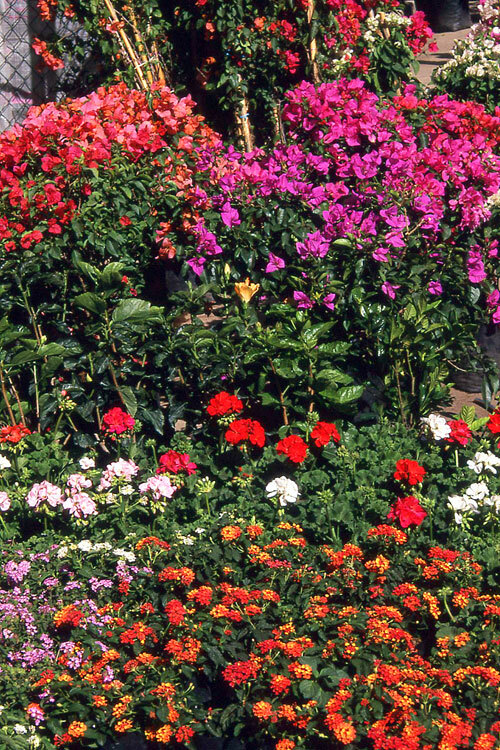 As metaphors, flowers become both verb and adjective, filling Aztec time and space. 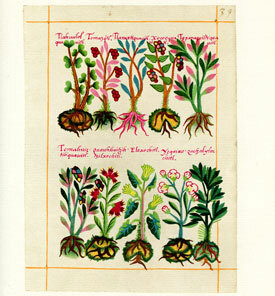 Flowers were often used to evoke the power of gods to ‘paint [sacred books], to grant colour and life to those that have to inhabit the earth’. ‘Flower and song’ were, in the words of a celebrated poet azo tle nelli in tlalticpac - ‘perhaps the only true things on Earth’. 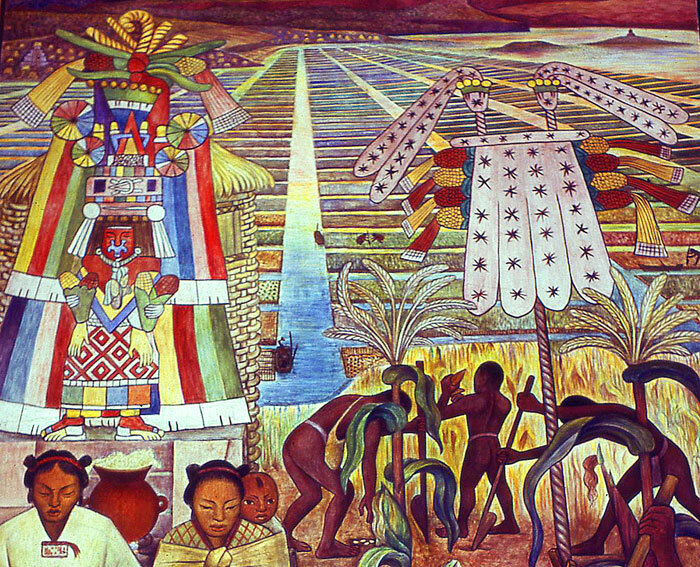 One of many Aztec paradises - Tlalocan - consisted, in Soustelle’s words, of ‘an idealised vision of the eastern tropics, a green country of flowers and warm rain; it was a garden of repose and plenty, where the blessed lived for ever in peaceful happiness’ (Pic 3). 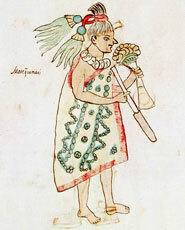 When the Spanish reached Mexico, the Aztecs were cultivating double-flowering marigolds and dahlias, showing that by using scientific techniques, flower varieties were being developed by what Phil Clark calls a ‘horticulturally sophisticated people’. 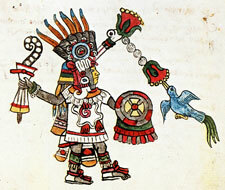 As well as flowers, fruits and vegetables, the Mexica were also familiar with some 3,000 medicinal herbs. Labour crews performing tribute obligations built the place, dug the ponds, plastered them, brought the stone and timbers and plants - all of this magnificence was paid for by the Aztec empire. 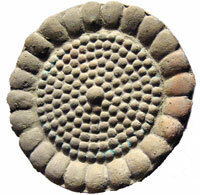 And the design... reveals how Aztec [rulers] were kept in contact with affairs of state - canals brought canoes directly to the palaces... just as limousines and helicopters today ferry executive officers of business and government from one important meeting to another. 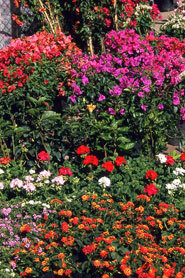 There are... very refreshing gardens with many trees and sweet-scented flowers, bathing places of fresh water, well constructed and having steps leading down to the bottom. [There was also] a large orchard near the house overlooked by a high terrace with many beautiful corridors and rooms. Within the orchard is a great square pool of fresh water, very well constructed, with sides of handsome masonry, around which runs a walk with a well-laid pavement of tiles, so wide that four persons can walk abreast on it, and 400 paces square, making in all 1,600 paces. On the other side of this promenade toward the wall of the garden are hedges of lattice work made of cane, behind which are all sorts of plantations of trees and aromatic herbs. The pool contains many fish and different kinds of waterfowl. These parks and gardens were adorned with rich and sumptuously ornamented alcazars (summerhouses) with their fountains, their irrigation channels, their canals, their lakes and their bathing-places and wonderful mazes, where he had had a great variety of flowers planted and trees of all kinds, foreign and brought from distant parts... and the water intended for the fountains, pools and channels for watering the flowers and trees in this park came from its spring: to bring it, it had been necessary to build strong, high, cemented walls of unbelievable size, going from one mountain to the other with an aqueduct on top which came out at the highest part of the park. 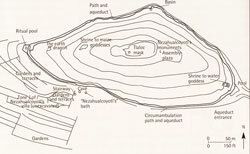 The whole hill-sized sculptural and architectural masterpiece was transformed into a fountain by bringing a stream of water from a spring higher in the mountains to a point near the top of the hill by constructing a solid aqueduct nearly 8 km (nearly 5 miles) long, in places nearly 50 m (some 150 feet) high. 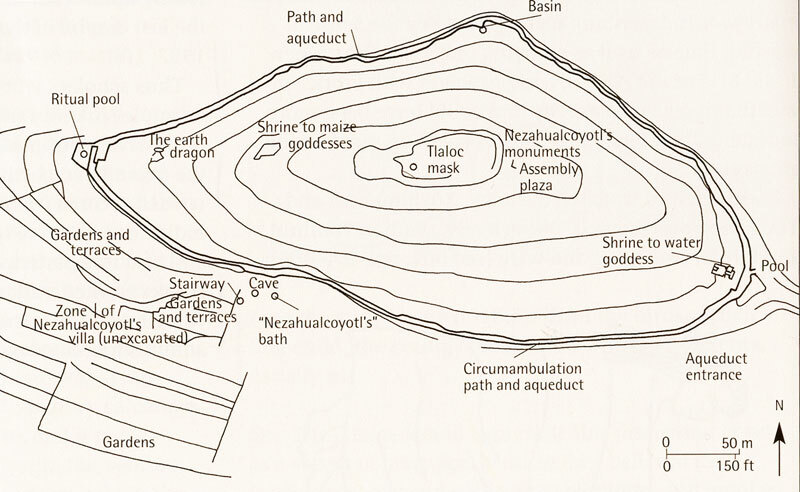 The flow of water rushed down the hill in a set of ingenious channels, forming waterfalls and filling three rock-cut circular baths, watering gardens of exotic plants, and eventually feeding the terraced agricultural fields below. This was some act to follow, but beat it in 1467 Moctezuma I (and later his grandson Moctezuma II) did: he ordered the revamping of an ancient - but by then derelict - garden at Huaxtepec (now the resort of Oaxtepec, near Cuautla, in the modern state of Morelos), a warm, moist, fertile, sub-tropical spot for which the emperor could assemble a much wider range of cultivated plants, trees and herbs, many brought from distant corners of the empire, such as cacao, vanilla orchids and magnolia from the coastal tropics. 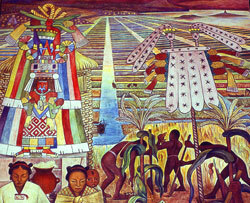 Whenever the ruler claimed special (rare) plants in tribute, they were brought to the Aztec capital ‘in great quantities, with the earth still about the roots, wrapped in fine cloth’ - along with specialists in their upkeep - and were then ‘taken to Huaxtepec and planted around the springs’, according to the Spanish chronicler Diego Durán. The plantings were accompanied by ritual ceremonies that included bloodletting and the sacrifice of large numbers of quail to Xochiquetzal, the Mexica flower deity (Pic 13). A very pretty rivulet [stream] with high banks ran through it from one end to the other. For the distance of two shots from a crossbow there were arbors [shady spots] and refreshing gardens and an infinite number of different kinds of fruit trees; many herbs and sweet-scented flowers. It certainly filled one with admiration to see the grandeur and exquisite beauty of this entire orchard. 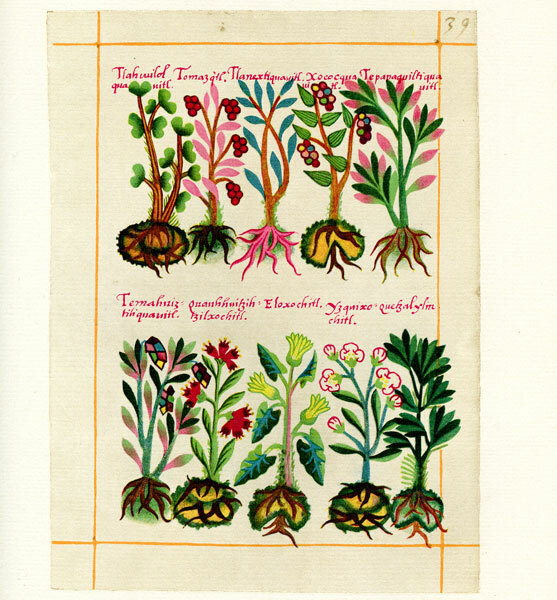 I tried to research the flower on the top right of the page and the only similar flower I found did not originate from Mexico at all but was a flower by scientific name of “Gorteria Rigens” originating from south Austrailia. 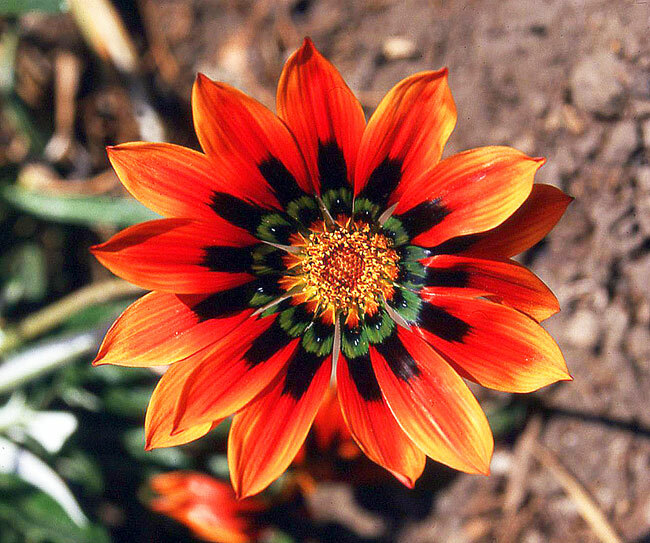 If you could elaborate on the name of the flower you actually have i would love to hear about it and learn more about this specific flower. Thank you! Mexicolore replies: Thanks to Jaazia and Raelynn for your queries. 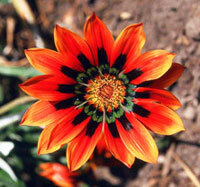 The honest truth is, we don’t know what flower this is! 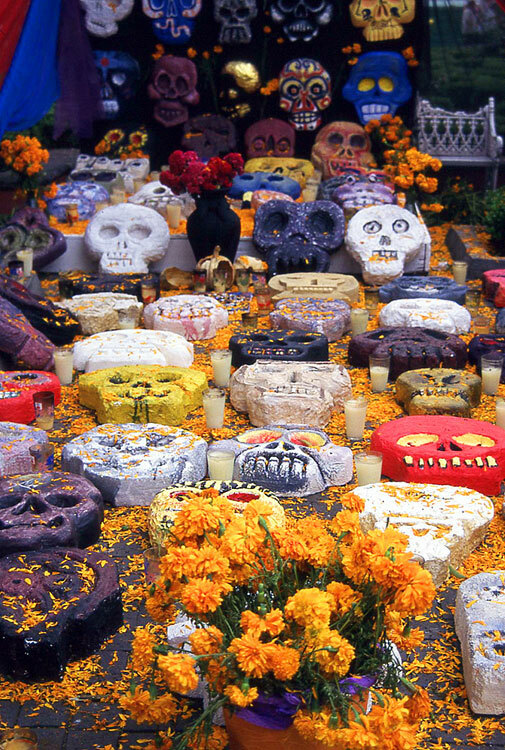 It was photographed in Coyoacán (a district of Mexico City) by an old associate of ours, Iain Pearson, in 1998. We’ve long since lost touch with Iain, but still have the small part of his (35mm colour slide) photo archive and scanned the image without having access to further details. We wish we could help you further! Do you happen to know the common or scientific name of the beautiful Orange flower on the top of the page, on the right side? 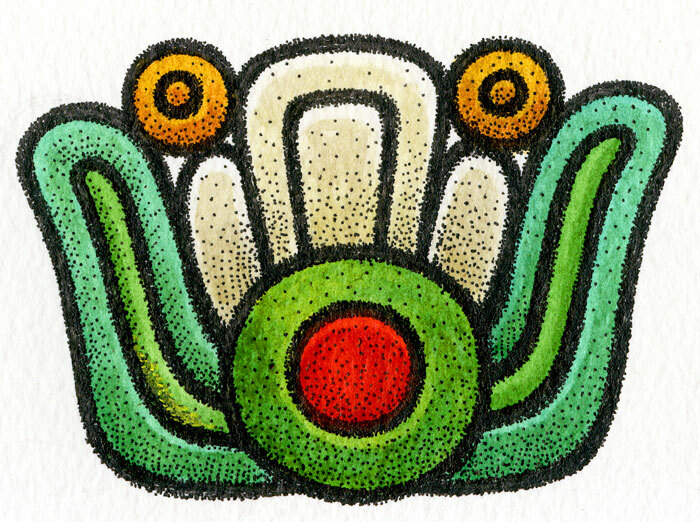 I am getting a tattoo to help express my culture and would like further help! Thank you so much. Mexicolore replies: Apologies, Raelynn, for failing to see your question until a year later! Please see our reply to Jaazia, above. Wow..! If only I could rent the Tardis to go back in time and visit those magnificent gardens. 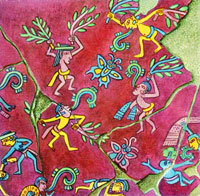 Will there be a future article on the Aztec “language of flowers”? 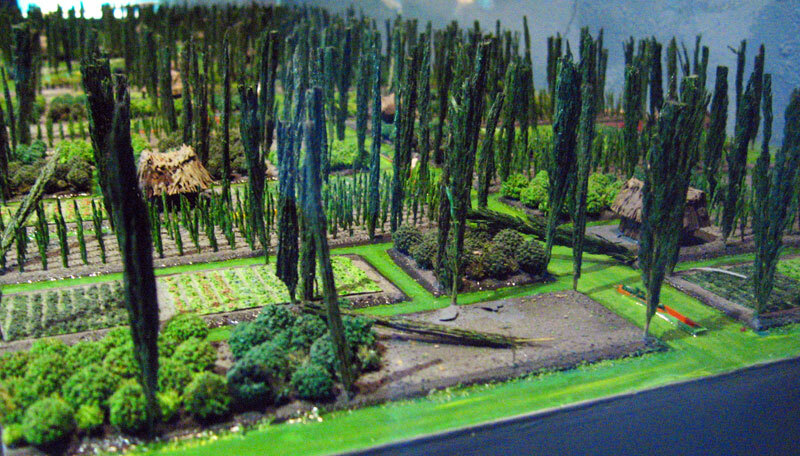 I wanted to know more about the chinampas, because I am reading a book called “La vita cotidiana de los Aztecas en visperas de la conquista”, and I found very detailed explanation of it. Thank You very much. 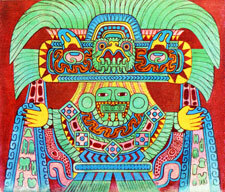 It s a great source for those who are taking also Anthropology courses. Mexicolore replies: Thanks for this positive feedback, Giuseppe. 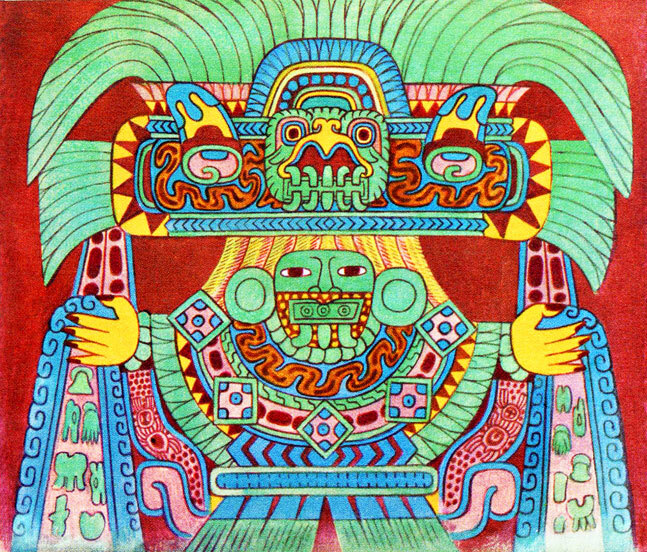 The book you’re studying is known in English as ‘The Daily Life of the Aztecs’ by Jacques Soustelle and is definitely a classic.